Nothing can be worse than getting stuck in your car in the middle of the road. You aren’t prepared for it and need immediate help to get out of this uncertain situation. Towing service is the only solution to your problem but finding a good towing service is itself a big problem. Don’t worry if you don’t have any previous experience using a towing service as we are going to describe some essential traits that you must consider before hiring one. The concept of a towing service isn’t limited only to a truck that drags your car with the help of strong chains. Towing services also include changing a flat tire or making minor repairs on the side of the road. If possible, know the service you require and find a company that supplies that service. Experienced towing companies like Unlimited Recovery don’t rely on a single type of truck because they know that each situation requires specific towing services. Flatbed, hook and chain and wheel lift are the three types of tow trucks used for towing services. This variety of tow trucks means Unlimited Recovery is ready to handle any situation. Professionalism determines the quality of towing service. Timely response is necessary. No one wants to be stuck in a remote area at night, nor be in the middle of the road blocking traffic. Arriving quickly with the proper equipment to move the disabled vehicle is crucial. Add in a courteous driver who knows his tools and equipment and can resolve the problem easily and you have a winning combination. Visiting a company’s website and checking the reviews of previous clients can give you insight. Experienced and professional companies don’t hesitate to show their customer reviews as they have confidence in their quality of service. Read the reviews and get to know whether they value customer satisfaction or not. Your car insurance agent can help you out as they often have connections with different towing companies or they may offer towing services as part of your policy. However, it depends on the terms and conditions of your insurance policy. An automobile is one of the largest investments you have and taking care of it is your responsibility. Hire a professional and experienced towing company that treats your vehicle with care. For all your towing needs contact, Unlimited Recovery and Towing at 919-790-9393. You shouldn’t wait to be caught up in a car breakdown or accident of some sort in order to start looking for a good tow company in Raleigh. Your search for a reliable tow service should be done in advance. It pays to do some research and find a tow company that you can trust to show up on time and with a truck that is in good shape whenever you need their help. Among the things you should be looking for in a reliable towing service include reasonable towing charges, professional accreditation, and good customer service. The tow truck provider should always be happy to assist you whenever you contact them and even provide advice on what to do next. You need to find out if the company emphasizes on professional services. The last thing you want to deal with when your car breaks down is a truck operator who arrives late and manhandles your car. You also need to find out if the vehicles they dispatch are in good shape and can tow your car. Also, ask if they provide their services all over the Triangle area so that you can know what areas are covered when your car breaks down. Ask about the price and any additional charges that may apply. Some towing companies charge a fixed price whereas others will have different rates depending on the location and destination of the car being towed. It’s also important to find out how long it will take for the truck to arrive and whether you can communicate with the driver directly. Make sure you don’t rush to sign up for their services before you get all the information about their total cost. There are cases where you will have to pay taxes in addition to the service charge. Don’t forget to ask if the towing company offers your preferred method of payment. There are some towing companies in Raleigh NC that offer misleading information especially concerning the price. If there are any terms and conditions which you do not understand, ask before signing the fine print. Your insurance company may be able to cover for the cost of towing. Find out if the company accepts insurance payments. Most importantly, look for towing services from a company that keeps their word. You can tell by reading the reviews written by previous clients. Breathe with ease and contact Unlimited Recovery for all your Raleigh Triangle towing needs. We are available 24 hours a day, 7 days a week to help you with a wide variety of roadside emergency situations. Call us now! At some point in our life, there will come a time that we experience things we actually didn’t imagine and one of this is having your car towed. There are actually tons of reasons why your car has to be towed. It doesn’t necessarily mean that once your car is towed then you broke a rule. 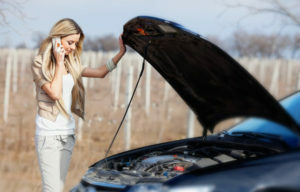 Sometimes, it could be your car having problems and it needs assistance. You don’t need to worry too much about this, what’s important is you have known which auto towing you can trust. One of the things you should know when you have the car is to which towing company you can call for help in case of emergency. You need to know this ahead of time not because you are thinking that one day your car will be towed, but at least you know if your towing services are giving you the services you really need. When we are in a panic mode, we tend to forget things and you don’t mind what’s happening around us as long as you get out of the situation fast. The moment you find yourself in need of roadside emergency assistance, get in touch with the most trusted Raleigh towing company. Contact us here at Unlimited Recovery! Just calm down and call us immediately. 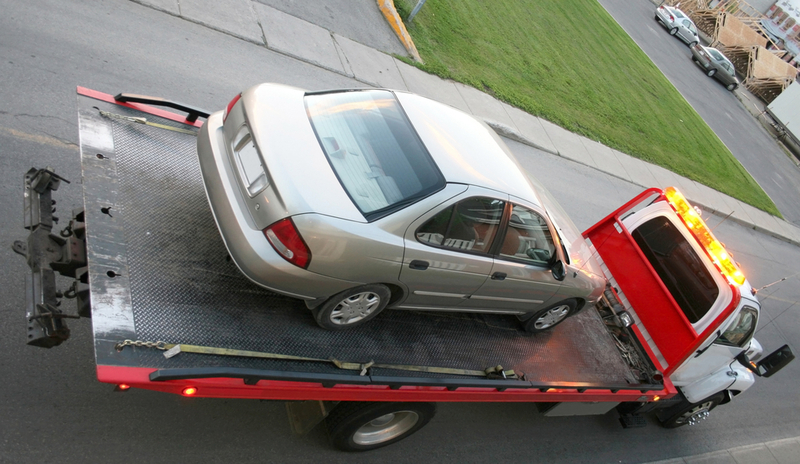 It is very important that the situation is clear to you so that our towing services can provide you immediate action. Feel free to raise questions. We are more than happy to assist you with all of your concerns. 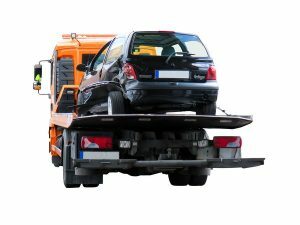 When the auto towing service arrives, be sure that you are there when your car is towed and that you are aware of what is currently happening. You need to arrange with them the things that you have to do so that you will not be confused later on. True enough, knowing which auto service you need to trust ahead of time is very important. Not only because you will get immediate assistance, but you will have enough time to know the company well before you actually need their service. You are also sure that your car is in safe hands. Be very meticulous in selecting a local tow company. Some may not be true to their goals and services. Save yourself from all the stress and get an auto towing service than serve you 24/7. Call us! We all know how valuable our money is, considering that nothing can be earned in an instant these days. We need to work hard to get what we need and we don’t want to settle for less. We all want our money to be spent wisely and choosing the best auto towing service is not exempted. There are indeed tons of auto towing services; this is due to the increasing demand of the market. However, not all of these companies are providing us with quality services. In any services offered to us, we have to be sure that we are paying for a quality service. The amount won’t matter that much if you are just paying for the right quality of service. This is also true when it comes to auto towing services. The most important thing would be customer satisfaction. Nothing could beat the word of mouth type of marketing. Even if there will be thousands and even millions of towing services out there but if you stand out amongst them and you provide quality service all the time then you will still have a huge market. Although we don’t wish to ask for their assistance soon because as much as possible we don’t want our cars to be towed but just in case the unexpected things happens, at least you are prepared. For instance you need your car to be towed now, the first thing you should consider would be how your car can be towed. You need to know how they plan to tow your car. This way, you will have an idea how safe your car will be with them. There are a lot of ways your car can be towed, as long as your car is safe then that is perfectly fine. You need to see to it though that the towing equipment they will use is capable of handling your car. Your car could be towed in different ways and with the use of different equipment. But the most important thing in this scenario would be your car. You need to be sure that the towing company has checked the safety of your car. All considerations for safety towing must be taken at all times. But more to the equipment and methods your towing company can offer, what really sets the best company from the rest is the kind of relationship they build with their clients. The best auto towing company should have the best people. A company can only be could the best if it is run by the best people. They need to be polite, honest and sincere in proving you their services. You have to keep in mind that most of their client’s may be stressed out at this point and a simple smile could lighten up the tension. Furthermore, to keep up with the competition, the best company should be available at all times. Unlimited Recovery is available 24 hours a day and 7 days a week. For the best towing company in Raleigh, contact us! If you own a vehicle or you drive one, then it is almost certain that you will need the services of a tow truck at some point. Vehicles are perhaps one of the greatest human inventions but as useful as they may be they are prone to developing issues now and then. Before calling for a tow service, it will be important for you to figure out the type of tow vehicle you want depending on the situation. This is due to that fact that there are different kinds of tow vehicles, and each one of them can be used for different situations. The following are the three popular types of tow vehicles. This tow vehicle is also commonly referred to as the “slide” or “rollback” tow truck. It is fitted with a hydraulically inclined bed that can be lowered to ground level. The car being towed is then driven or pulled onto the bed. Once the car is secured, the bed is then adjusted to a driving position. 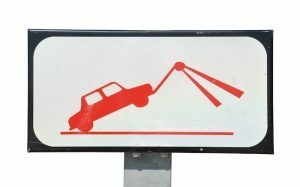 The Flatbed is the most popular type of tow vehicle especially for emergencies as it inflicts minimum damage on the car. Instead of dragging the car behind the tow truck carries it on its flatbed. Besides from vehicles, the Flatbed can also be used to tow other machinery like small boats and motorcycles. The Hook and Chain tow truck is probably the oldest type of tow truck, and it has been in use for almost as long as the vehicles. It is also the cheapest and most readily available type of tow truck. The Hook and Chain tow truck uses a hook and chain just as the name suggests for lifting and dragging the vehicle. The tow truck connects to the axle or frame of the vehicle from behind using chains. The chains are then used to raise the rear part of the vehicle for easy dragging. Although these types of tow trucks are the oldest, they are no longer used as often as they were used years ago because of the damage that they cause to the vehicle. However, they can still be used if the car is already severely damaged or in emergency situations when you do not have enough money to pay for better alternatives. Unlike the Flatbed, the Wheel-Lift Tow truck lifts your car by the wheels and then drags it from behind. The Wheel Lift if fitted with a metal yoke and a hydraulic system to help lift your car either on the front or rear tires. In some cases, dolly wheels can be mounted on the trailing wheels so that all the car wheels are off the ground. These tow trucks have taken the place of hook and chain trucks in the past few years since they cause lesser damage to your vehicle. However, they are still not as safe as the Flatbed but are also less expensive. This type of tow truck is used mostly when you want to minimize the damage to your vehicle, and you do not have enough cash to pay for the Flatbed tow truck. Response time: Cars have a tendency of breaking down when you least expect and at the wrong time for example when you are late for work or an important meeting. Due to this you will need a company that can respond within a very short period. Although most tow companies respond very fast, sometimes it is never fast enough. To make sure that the response time is quick enough, you should go for a local company. Services: Besides from the tow service what other services does the company offer? This is an important question to ask your potential tow service provider before settling for them. A good company should offer you other essential services like roadside assistance. Availability: In the towing business availability of the service provider will be determined by the number of tow trucks the company has and the number of clients they serve. No matter how good the company might be it will only benefit you if their services are available when you need them. The cost of the service: The cost of the service will depend on the type of tow truck used and the distance that your vehicle will be towed. As a car owner what matters more is the safety of your car and so instead of always going for the cheapest service you should go for one that offers you value for your money. This means the more you pay, the better the service you get. However, a good company will always charge you fairly while still ensuring your car reaches its destination with minimal damages. For fast and reliable towing service in the Triangle area, give Unlimited Recovery a call! Call the Raleigh Tow Truck Company that handles it all! that has a fleet of light duty tow trucks is designed to haul all types of cars and light trucks with state-of-the-art wheel lift systems. Our fleet of light duty flatbed trucks works well for hauling 4-wheel drive and specialty vehicles and we are experts in equipment and machinery hauling. Our fleet of medium duty tow trucks can transport 1-ton utility trucks, cube and step vans, motor homes and trailers. Our operators are fully certified for up-righting, and winching and safely returning vehicles to the roadway and job site. Our heavy-duty crane has dual winching capabilities of 50,000 lbs. per winch and a boom capacity of 50 tons. Our operators have years of experience winching a variety of vehicles and equipment including; tractor-trailers, concrete trucks, dump trucks and heavy excavating equipment. Our heavy-duty tow trucks haul most large vehicles including tractor trailers, tour/city buses, and large fleet trucks. Keeping your fleet vehicles on the road is a top priority so use our fleet services to keep your company ahead of the competition. We can provide the following services for most light, medium and heavy trucks. Use our service regularly or for emergencies. Unlimited Recovery understands the needs of fleet companies. Our mission is to provide our clientele quick, efficient, and safe recovery or road service of their vehicles.